Midtown Suites at Guoco Midtown is a integrated development by top class developer, Guocoland, located at the prime city location of Beach Road. Guoco Midtown is comprising of Grade A Office, 30,000 sqft of retail and entertainment, as well as 200+ units of luxury residential condominium called Midtown Suites. Guoco Midtown will be directly linked to Bugis MRT interchange and Bugis Junction shopping mall, as well as other developments like South Beach. Open for sales soon, Call/Whatsapp 96563725 now for more info and viewing! GuocoLand and Guoco Group jointly won the 99-year leasehold, two hectare site with a bid of $1.622 billion in September 2017 with a bid of $1.622 billion or $1,706 psf per plot ratio. It’s an exciting location that attracted a lot of bids from big developers. Guoco Midtown is an integrated development with a total gross floor area of 950,500 sq ft, of which 770,000 sq ft will be Grade-A office space, 30,000 sq ft of retail and entertainment, and more than 200 units of luxury condominiums, name as Midtown Suites. 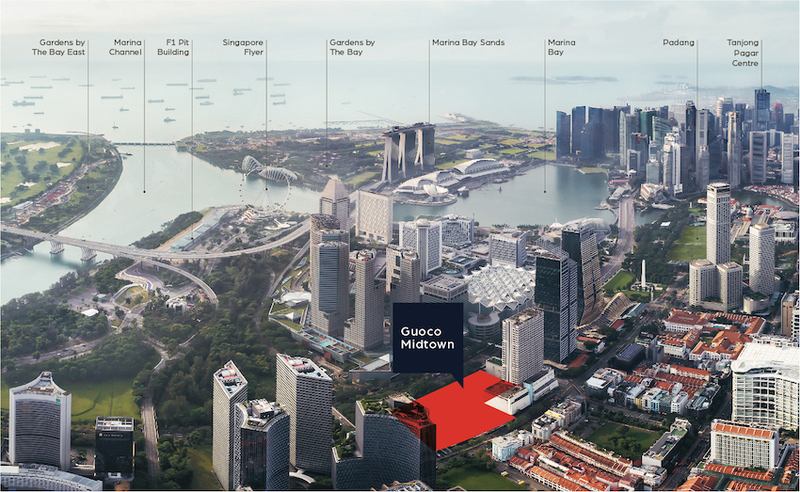 Guoco Midtown will boast unblocked and breath-taking views of Marina Bay, Kallang Basin, Orchard Road and the sea view. Enjoying similar views as another outstanding integrated development nearby, South Beach Residences, residents of Midtown Suites will enjoy the nicest views in Singapore. GuocoLand is a multiple award-winnings and one of the most reputable and biggest developers in Singapore, with a long and excellence track record for building quality developments over several decades. They are especially well known in building high-end residential developments and integrated developments, in Singapore as well as other countries like Malaysia. 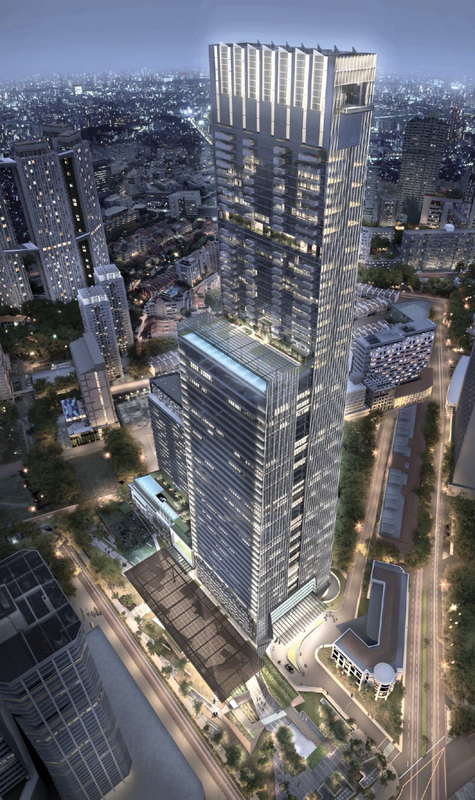 The tallest building in Singapore, Guoco Tower is an award-winning integrated development that is located at the heart of Singapore’s Central Business District, connected directly with Tanjong Pagar MRT. It comprises of 5 Star luxury hotel, retail shops and restaurants, Grade A office, as well as Wallich Residence, a high-end condominium which is also the tallest residential development in Singapore. Other outstanding residential developments by GuocoLand include Leedon Residence, Martin Modern, Sims Urban Oasis, and many others. Guoco Midtown and its residences Midtown Suites will enjoys direct underground link to the Bugis MRT station, an interchange for the East-West and Downtown Lines. This will offer fantastic connectivity and convenience, enhancing the investment value significantly. 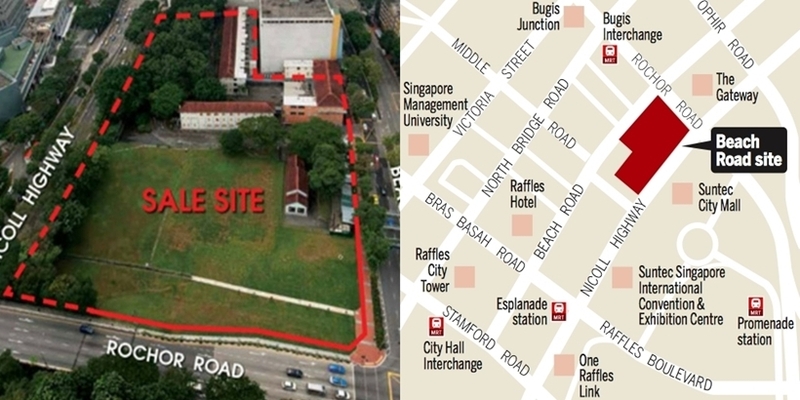 It also connects directly to Bugis Junction and Bugis Plus, 2 very popular shopping malls in Singapore prime location. It will also be linked above ground to neighbouring buildings such as South Beach, which has a direct link to the Esplanade MRT station on the Circle Line. In addition, Guoco Midtown is also within a short walking distance to Raffles City shopping mall and City Hall MRT interchange station. From there, it’s just 1 to 2 MRT stops away from Central Business District of Singapore, which is Raffles Place and Tanjong Pagar stations. For drivers, it’s being served by Nicholl Highway and upcoming North-South Highway, providing superb connectivity to Central Business District and other important parts of Singapore. In addition, this integrated development is also near to many iconic buildings in Singapore’s city, including Suntec City Convention Centre, Marina Bay Sands, Esplanade Mall, and Singapore flyer. The fantastic location of Guoco Midtown is truly the key selling point for this exciting integrated development. 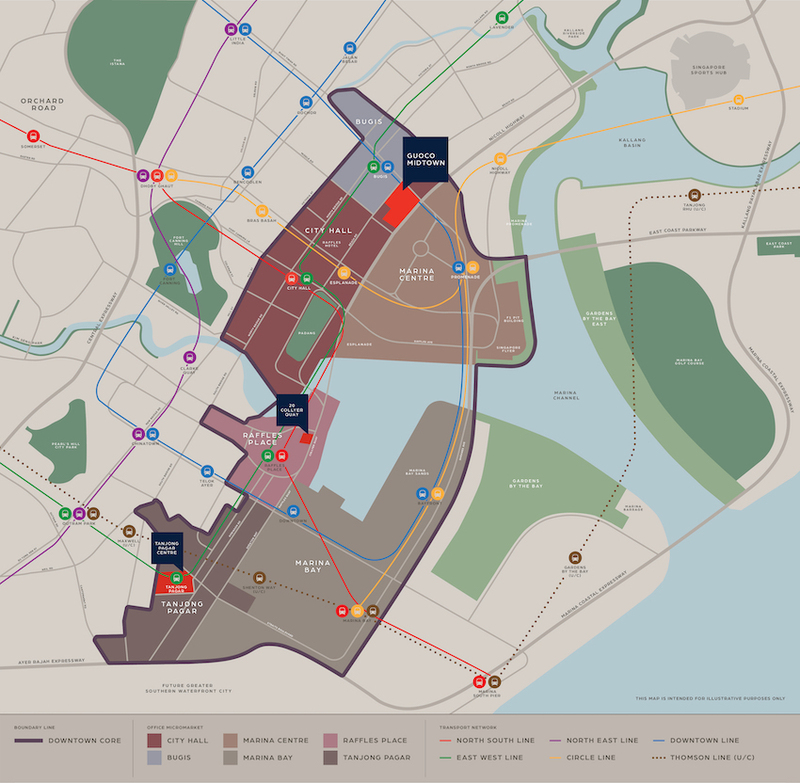 The residents of Midtown Suites will enjoy probably the most strategic location in Singapore. The high-end, luxurious residential condo, Midtown Suites, will be launching for sale soon, register your interest HERE for more info and viewing of showflat.